This works out to a staggering $195,000 for each of Norway's 5.2 million citizens. Wow! What is the source of that trillion-dollar mountain of money? The vast North Sea oil deposits that the Norwegian government owns. According to the World Energy Council, Norway owns 7.9 billion barrels of proven oil reserves. 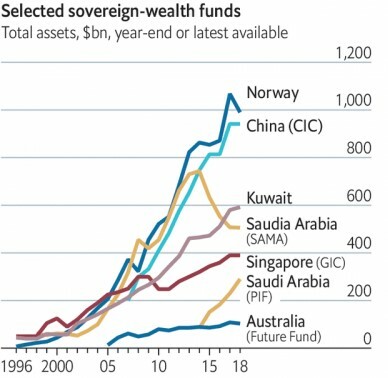 The sheer size of those oil riches is why I was surprised to hear the Norwegian wealth fund announce that it is going to sell most, if not all, of the oil and natural-gas stocks that it owns. "The Government is proposing to exclude companies classified as exploration and production companies within the energy sector from the Government Pension Fund Global to reduce the aggregate oil price risk in the Norwegian economy." I don't interpret this as a good sign or bad sign for oil stocks. Frankly, I don't care what the government of Norway — or China or Abu Dhabi or Kuwait or any other country — does with its money. What I wish is that the dummies in Washington, D.C., would invest some of the $2.8 trillion in the Social Security Trust fund into stocks instead of the phony-baloney IOUs that are backed by Treasury bonds. Every month, American workers send cash — real, cold, hard cash — to Washington, D.C., to be deposited into the Social Security Trust fund. Those dollars are then exchanged for "special-issue government bonds." "These [trust fund] balances are available to finance future benefit payments and other trust fund expenditures—but only in a bookkeeping sense. These funds are not set up to be pension funds, like the funds of private pension plans. 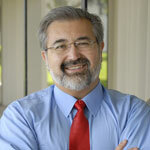 They do not consist of real economic assets that can be drawn down in the future to fund benefits. Instead, they are claims on the Treasury, that, when redeemed, will have to be financed by raising taxes, borrowing from the public, or reducing benefits or other expenditures." For the moment, forget about the likelihood that those IOUs — along with the rest of our $22 trillion national debt — are likely to be devalued at some point in the future. Let's just assume that those special-purpose bonds actually retain their value. Unfortunately, they still suffer from the reality that they are earning a paltry sub-3%. 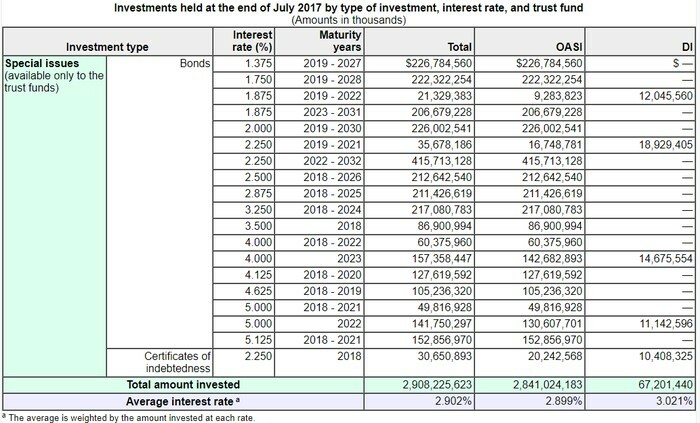 In 2017, the government "credited" the Social Security Trust Fund with 2.9% of interest. 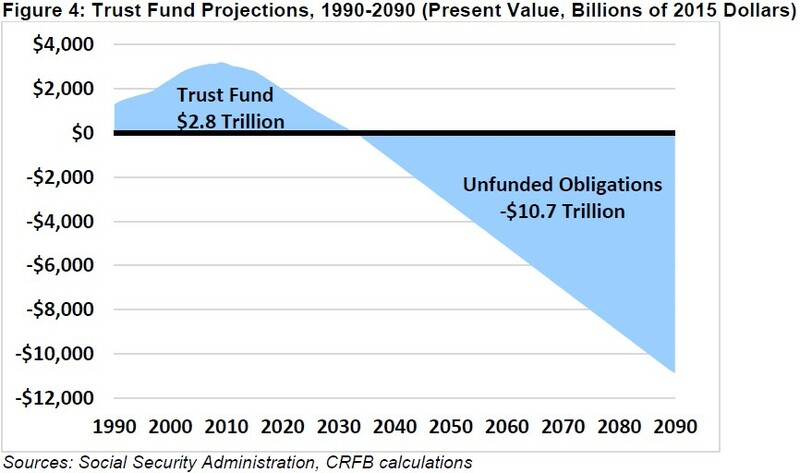 How much better do you think the Social Security Trust could do over the longer term if they invested some of "our" dollars into the stock market and/or real estate? There's no way to know for sure, but I bet the returns would increase by 200% to 300% over the long term. That would be enough to fix a lot, if not all, of the underfunding shortfalls that plague the Social Security system today. I haven't started to collect Social Security yet. When I do, I am pretty confident that I'll get back some of the hundreds of thousands of dollars that I've put into it. However, the odds that people in their 20s, 30s or even 40s will see any money out of Social Security are not good. It is time for the U.S. government to admit that the Social Security system is broken … that those phony special-purpose IOUs are as worthless as the paper they are written on … and that it is time to invest a portion of our Social Security Trust Fund into equities. Not only would that light a fire underneath the stock market, it would save the Social Security system for generations to come.